Ancient piers and wharfs stand at waterways that are now used by tourists to reach their destination by boat. The ancient city of Tai'erzhuang combines tangible landscape and intangible culture. Zhao Ruixue reports. 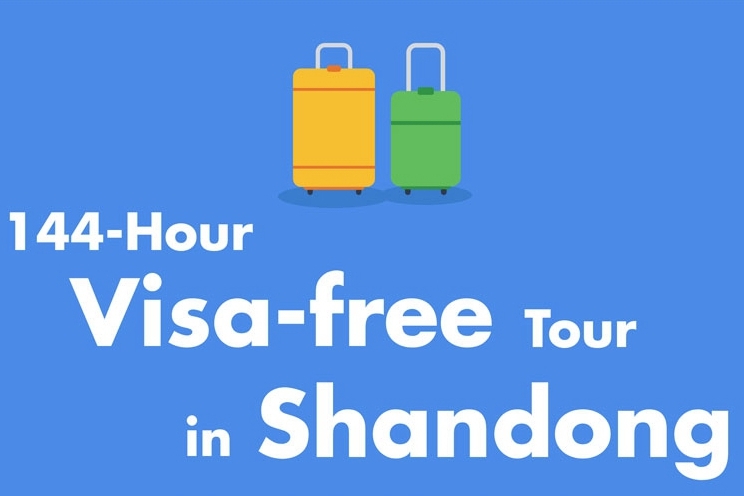 As we entered Zaozhuang, a city in the southwestShandongprovince, I couldn't help but note that what I'd expected was wrong. I had assumed the city, which is heavily dependent on coal-related business, would be smoggy. Instead, I found a city that has clean roads with large trees and lush lawns on both sides. The sky was also blue the day we visited, making the city's environment very comfortable. Our destination was Tai'erzhuang, a town located in the old partof Zaozhuang. On Aug 15, local authorities officially announced the town has been recreated as closely as possible to its condition before it was mostly destroyed in 1938 during the War of Resistance against Japanese Aggression (1937-1945). 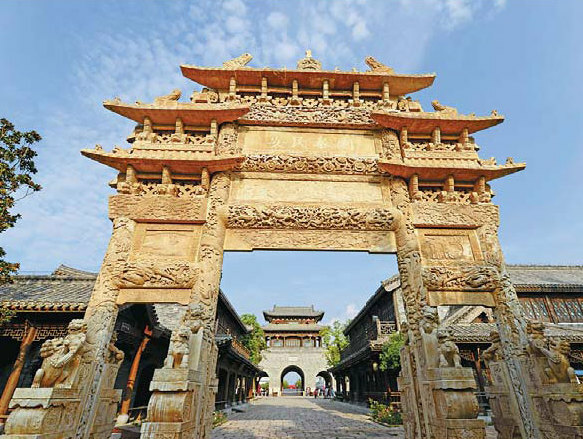 The recreated town is rated a 5A tourist attraction, the top ranking in China's five-level tourist site evaluation system. As we walked through the town gate, we encountered "Emperor Qianlong" (1711-99), who paraded along the main street of the town with his empress and dozens of attendants. "I feel like I've traveled back to the Qing Dynasty (1644-1911)," my companion says. "There are people dressed in costumes parading around the town every day to create a historic ambience," says Ren Sinian, our guide. The real emperor called Tai'erzhuang "the most affluent town in the world" when he stopped by on his way to south via canal, according to The Annals of Yi County, published in 1904. Tai'erzhuang was established in the Han Dynasty (206 BC-AD 220), but didn't thrive until 1604 when a canal was built through the town as part of theBeijing-HangzhouGrand Canal. 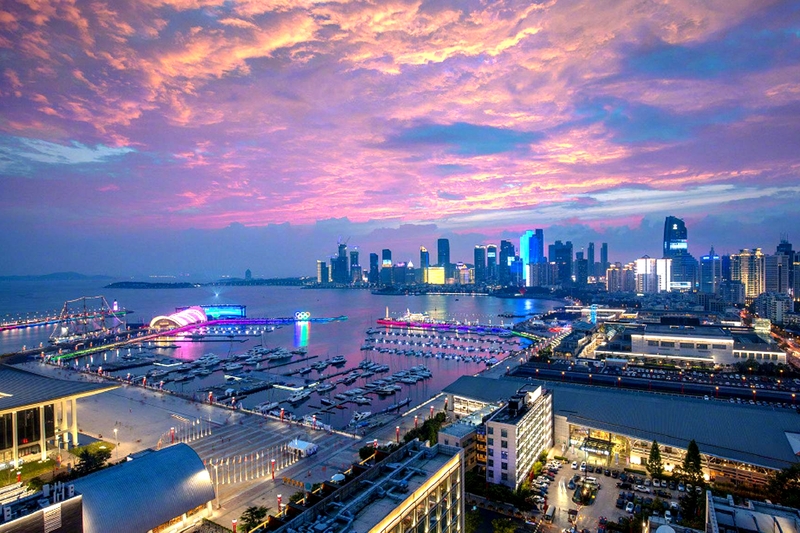 The Annals of Yi County records that around 10,000 boats passed through Tai'erzhuang on the canal every year, making the town an important transport base during the Ming (1368-1644) and Qing dynasties. 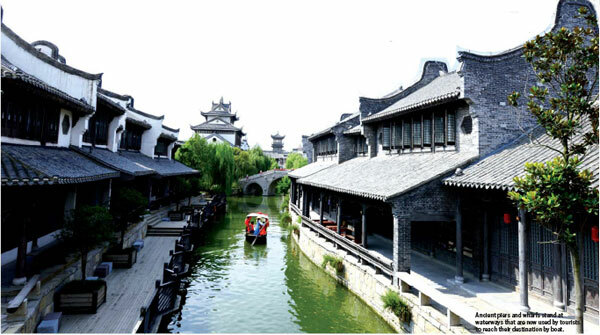 Thanks to the canal, businessmen around the country converged at Tai'erzhuang, leaving great legacies to the town, such as more than 6,000 houses featuring different architecturalstyles.